The extensive website www.paranormaldatabase.com has just given very positive reviews to both Haunted Dundee and Paranormal Cumbria. You can see the reviews at and they are also here and here. My thanks to Darren Mann for permission to reproduce the reviews. This entry was posted in Messages from Geoff and tagged geoff holder, haunted dundee, paranormal cumbria, paranormal database, reviews on 19/04/2012 by Jamie Cook. Carlisle, I see you. On Saturday 21st April I’m doing a book signing for Paranormal Cumbria at the Waterstones bookshop, 66-68 Scotch Street, Carlisle. I’ll be there from 11am to 3pm, so come along for a chat – but if you can’t make it on the day, call 0843 290 8217 to reserve a copy of the book and I’ll sign it for you to pick up later. Paranormal Cumbria covers subjects such as the Cursing Stone of Carlisle – which brought beliefs from the Middle Ages into the Millennium – plus witchcraft and folk magic, twentieth-century sightings of fairies, examples of psychic powers, the phantom airships of World War One (which seem to be cultural precursors of the phantom UFOs of later decades), and the enduring mystery of the ‘Cumberland Spaceman’. The book has been covered recently on both BBC Radio Cumbria and Lakeland Radio. And talking of matters Cumbrian and strange, the next edition of the Fortean Freak Out podcast is up and running, and its subject is taken from Paranormal Cumbria – the infamous Vampire of Croglin Grange. Which was probably not a vampire. Listen to my conclusions here. 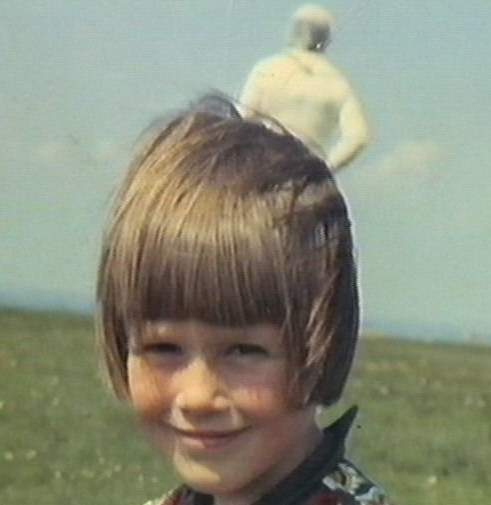 This entry was posted in Book releases, Talks and Events and tagged croglin grange, cursing stone, fortean, geoff holder, Haunted, paranormal cumbria, supernatural, vampire, witchcraft on 18/04/2012 by Jamie Cook. On Tuesday 10th April I’m the guest on the Dan Beale show on Lakeland Radio, the commercial radio station for South Lakeland. I’ll be wittering on about Paranormal Cumbria, Bownessie, and the Victorian mystery of how Lady Mabel Howard located some stolen jewellery using the divination technique known as automatic writing. And there’s a competition to win free copies of Paranormal Cumbria. Lakeland Radio is at 101.1 and 101.8FM. 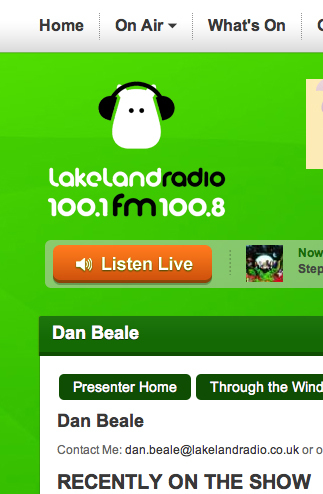 The interview goes out at 11.10am and can be listened to again for a week or so via http://lakelandradio.co.uk/presenter/dan-beale/. This entry was posted in Talks and Events and tagged geoff holder, interview, lakeland radio, paranormal cumbria, radio on 09/04/2012 by Jamie Cook.